So I'm still catching up with sharing some of my Christmas commissions. This one I actually painted back in October, not quite sure where the time has gone! I met Sue at the Gillingham and Shaftesbury show, she had braved the torrential rain and as I was exhibiting in the Marquee, Sue had come in to escape the rain and we got to talking about my portraits. 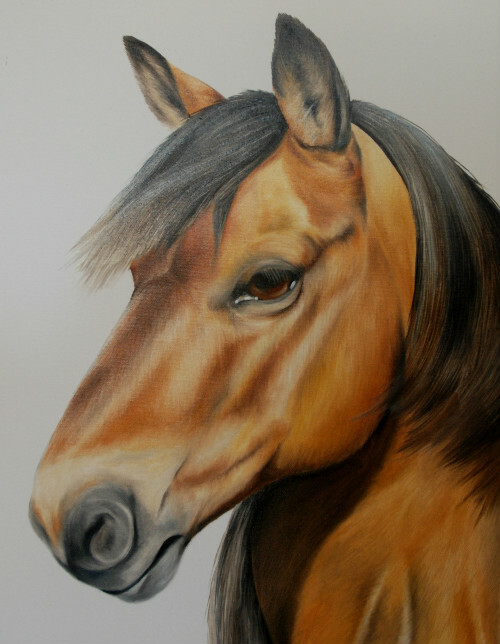 Sue's daughter has this rather handsome horse, Jack, so Sue thought it would be a lovely Christmas present to have a painting done. As you may notice my portraits are majority Dogs and Cats so it is nice to have a change and I always love the opportunity to paint horses, they have such gentle faces and wonderful eyes, the colours and textures in their glossy coats and wiry manes can be quite challenging too but I thoroughly enjoyed this one and Sue was delighted with the final painting.